That moment when you realise you have to think about what to wear for a radio show! 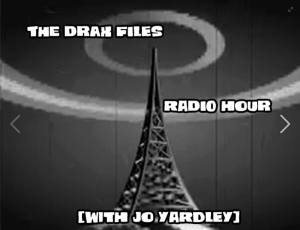 The Drax Files Radio Hour is celebrating its 100th (ish!) episode during Christmas week 2015, and to celebrate, they’re holding a special live recording session, and inviting people to attend as part of the audience. The podcast series first launched back in January 2014, although the initial idea for such a series goes back as far as the latter half of 2013. Hosted by Draxtor Despres and Jo Yardley, the show generally presents an hour long segment each week, focus on news, opinion, interviews and reports on all things virtual – virtual worlds, virtual reality, virtual living. Relationships – Should you Trust From the Start?